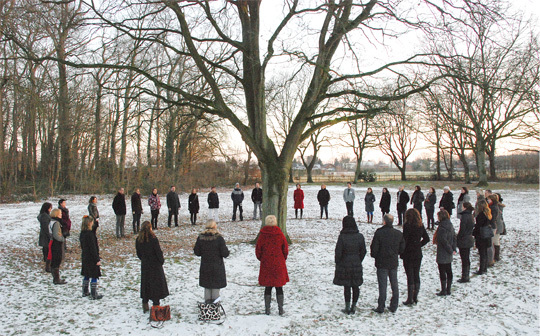 ROOTS, 5.10 – 5.20 pm, 38 participants, februari 9th 2012, Twello, The Netherlands. 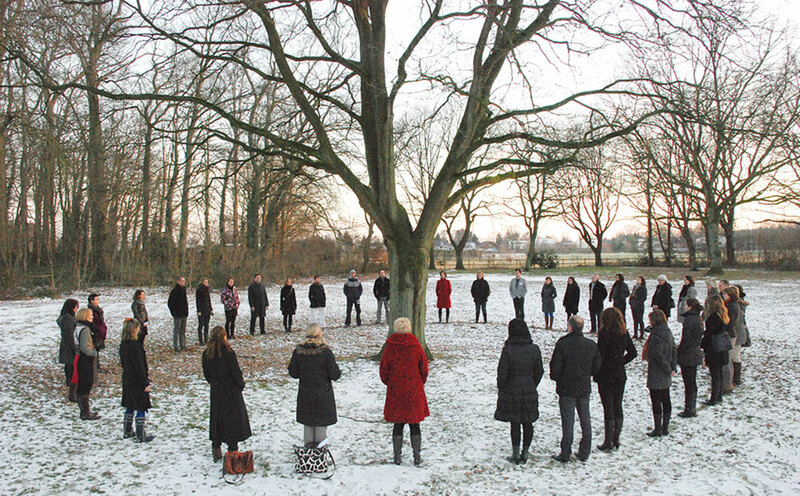 With the awarennes of standing on the roots of the tree, the group looked in silence for 10 minutes at the trunk. At sunset in a winter landscape. Thanks to Prima Donna Deventer.